It looks like Lamar Odom isn't entirely out of the woods yet: The former NBA star and current Kardashian spouse Odom has undergone chest surgery, E! News reported earlier Thursday. Odom's status was a little unclear for a while last week when he was in a coma with uncertain recovery prospects — but he's since woken up and has reportedly been increasingly responsive with each passing day. The specifics of his procedure haven't been released — they could be either heart or lung issues, according to TMZ — but the site reports that he allegedly had two surgeries, and doctors are requesting no visitors for the time being. He's in a "fragile state of mind" following the surgeries, anonymous sources told TMZ. Khloé Kardashian seems exempt from the "no visitors" provision — she has allegedly remained by Odom's side throughout his recovery, and the couple reportedly even called off their divorce, which hadn't been made official at the time Odom was admitted to the hospital. When he was transferred from Sunrise Hospital to Cedars-Sinai in Los Angeles, Kardashian reportedly accompanied him. Additionally, Kardashian released a statement thanking concerned fans for their support via her Twitter account and website, on which she wrote, "You can never be prepared for an experience like this, but without the outpouring of love and endless prayers that Lamar has received and the strength I was given from my loved ones, it would have been difficult to endure." His transfer indicates that he's in a stable condition (he was moved in order to be closer to Kardashian and Kris Jenner), and there's already talk of rehab. He can breathe without an oxygen mask, E! reported, and a CT scan didn't reveal any troubling results. It's by no means smooth sailing from here, though — E! also reported that Odom has something called aspiration pneumonia, and is undergoing a serious dialysis regimen for his failing kidneys. Still, his aunt released a statement that Odom is making "miraculous progress," and Khloé Kardashian's open letter was quite positive, so it seems that Odom is making strides. These two chest procedures might not be the last time he goes under the knife. 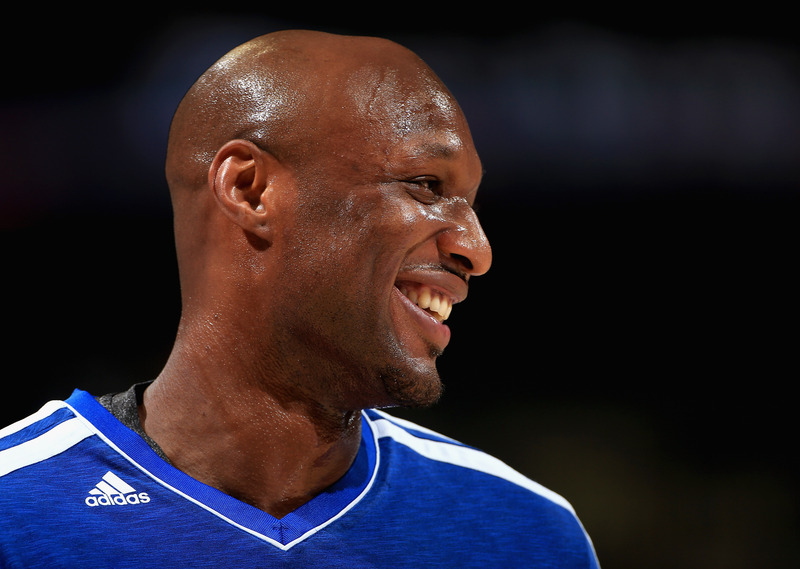 Even with the dialysis, USA Today reported that Odom may ultimately need a kidney transplant. Still, there are seeds of optimism throughout his recovery, though current reports indicate he still has a way to go. During the early news about his condition, his representative released a statement to Us Weekly, telling the magazine, "Family and friends are extremely concerned for Lamar. Please don't listen to the false information being circulated unofficially. Please respect the family's privacy during this difficult time." Bustle has reached out to Odom's rep for comment, but hasn't heard back at this time.